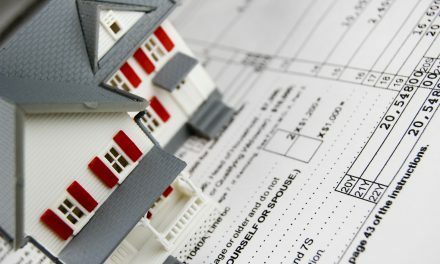 Part I in this article series on legal and tax advice addresses the misconception held by real estate professionals that they are engaging in the unauthorized practice of law when providing transaction-specific legal and tax advice to a client while acting as a licensed real estate broker or sales agent. Do you believe real estate agents are permitted to give their clients advice pertaining to the legal and tax aspects of the transaction? A pervasive and insidious fear persists among California’s real estate brokerage community — the fear of the unauthorized practice of law. For real estate professionals and their clients, this fear poses a considerable barrier to proper disclosure and effective advice, greatly diminishing the quality of their services. Counterintuitively, this fear renders brokers and agents more vulnerable to claims for losses caused by their failure to advise on issues of consequence known to them but not to their clients. Like most of the fallacious beliefs expressed in the mythology driving real estate agent conduct, the dictum to refrain from giving legal and tax advice stems from the real estate trade union’s code of ethics. What is presented as a set of guidelines for member conduct, forged in an effort to hold its members to a “higher ethical standard,” has become bastardized through a damning process of telephone game. The brokerage community understanding of what constitutes the unauthorized practice of law has become far too restrictive, to the unnecessary detriment of their clients. The popular opinion seems to be that real estate brokers and agents are mere legal scriveners, employed to facilitate the completion of legal documents and make mandatory disclosures by rote. However, a licensed real estate professional, with education and experience in legal and tax aspects of real estate agreements and ownership, is permitted to share their valuable knowledge when counseling a client in a real estate transaction. This is an integral part of their licensed services rendered for a fee and it represents the invaluable information that real estate clients need in order to build a sustainable real estate market in the future. All persons engaged in any conduct in California, private or professional, are charged with knowing the rules controlling their conduct — ignorance is not an excuse for wrongful behavior. Real estate transactions are the absolute pinnacle of this legal society, replete with rules of civil and professional conduct nurtured and developed over centuries. For each minute aspect of any type of real estate related activity there is a rule of law establishing the resulting rights and obligations of the real estate professionals and clients involved. Without such rules of law, we would have no commercial certainty and no value could be placed on those rights and obligations to be bought and sold in an open market – the bundle of rights that brokers market daily. But clients in real estate transactions are not always aware of the controlling real estate law, much less the consequences they may suffer which flow from the laws underpinning their transactions. California real estate brokers and their agents, however, are trained in these concepts and the application of the law to these concepts, based on professional education and experience. 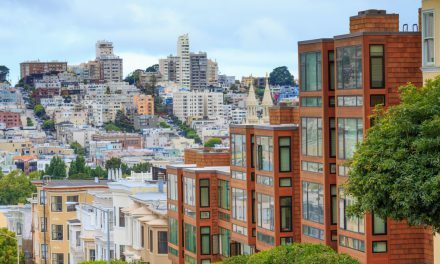 Regrettably, the line in the sand between what constitutes offering legal advice for a fee and giving advice in a real estate transaction for a fee is unclear to many of California’s real estate professionals. Thus, the unauthorized practice of law myth has run amok in the real estate brokerage community. Real estate professionals assisting and advising clients are stumbling over this makeshift line and recoiling from fear of crossing it. In the process they withhold valuable information known to them to have potential to adversely affect their client – all due to an unfounded fear. Thus it can quite easily be said, a real estate broker who is not a licensed member of the state bar should not engage in the “practice of law.” This seems to be a foregone conclusion based on the statute cited above — most real estate brokers have no intention or occasion to represent a client in a court of law, as this is obviously the realm of the licensed, practicing attorney. Enter the nebulous and ill-defined category of conduct from which all real estate agents are barred but few can define — legal advice. The term “legal advice” has wriggled its way into the Agency Law Disclosure, listing agreements (buyer’s and seller’s) and the hallowed pages of the trade union code of ethics. Thus, the Agency Law Disclosure is considered the final word in agency conduct as it relates to advice, legal or tax related: “A real estate agent [broker] is a person qualified to advise about real estate. If legal or tax advice is desired, consult a competent professional.” Skirting for the moment just who is a “competent professional” for rendering advice, the sense is a real estate broker or sales agent ought not give “legal advice” or tax advice, and ought to limit their advice to the breadth of professional knowledge they are employed by the client to provide [Calif. Civil Code § 2079.16]. This begs the pivotal question, what is the difference between giving “legal advice” and giving “real estate” advice? Are they not the same in content with a difference only in wording since all client expectations in real estate transactions are based on rights and obligations imposed by law? What is the difference between giving “legal advice” and giving “real estate” advice? 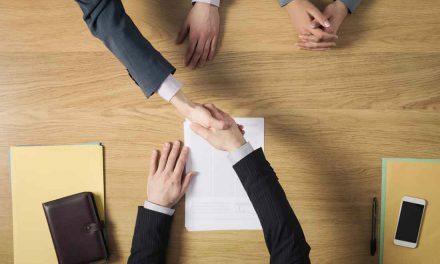 Although the moment when real estate advice passes over into legal advice may be ill-defined, the courts have clearly determined what constitutes “legal advice” as such. It is well-recognized that anyone, from your neighbor to the clerk at your local grocers may offer legal advice and not be prosecuted for the unauthorized practice of law. Consider a homeowner who hires a contractor to repair a fence on his property. Due to the contractor’s negligence, he damages a water line during construction and refuses to pay for the repairs. Over a shared cup of coffee, the homeowner’s neighbor advises him to sue the contractor, insisting the contractor is liable for the losses he caused. Has the homeowner’s neighbor engaged in the unauthorized practice of law due to the legal advice he provided the homeowner? Obviously, the neighbor’s special qualifications are not at issue here, if for any other reason than the homeowner would be aware by virtue of being acquainted with him that he is not an attorney. Unless also licensed as an attorney, brokers and agents never hold themselves out as attorneys and no client can reasonably consider them authorized to practice law. However, complications seem to arise and grey areas materialize when the public is dealing with a licensed professional, such as a real estate broker or agent — an individual specifically licensed and specially qualified to provide real estate advice. The heart of this matter lies in a client’s reliance on advice, legal in nature or otherwise. 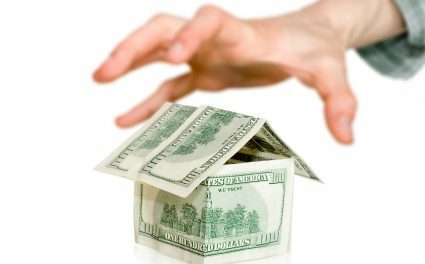 The only potential danger in a real estate professional’s giving of legal or tax advice is the possible confusion on the client’s behalf that the broker or agent is holding themselves out as an attorney or CPA. Thus, brokers and agents need not refrain from offering advice, but rather the need arises to protect against this confusion. Enter the further-approval contingency provision. For clarification as to the allowable scope of a real estate agent’s legal and tax advice, see Part II in this article series, Raising the bar of real estate advice. Letter to the editor: Do I need a license to manage real estate? After 40 years as a real estate agent, I still use commonsense when performing my fiduciary duties when representing a client. The continuous education and knowledge I acquire is to better serve my clients and does not preclude me from strongly “advising” them when I foresee professional accounting or legal representation may be needed. Understanding my limitations that a particular individual’s tax consequences, legalities, are unknown to me and may be beyond my scope of “advice” with a disclaimer, helps insure there is no misunderstanding by a client as to that limitation. Perhaps a survey of realty offices and number of “fires” their attorneys have to address due to negligence on those issues, “should have known” and false information relied on may aid in the definition. Take your real estate csslaes but also take a basic accounting course, real estate law, any finance course and a course in public speaking. Don’t laugh, you will use all those courses through your career. Also start talking to various brokers and let them know you are taking csslaes. Whether taking college courses along with taking real estate csslaes from various real estate companies or independent real estate schools be aware of the market you are in. Also talk to lenders so you know some of what is needed for your buyers. Please learn about Title Escrow as well. Once you hang your license make sure you become a Buyers agent first not a Sellers agent. When you start with buyers you will be learning along with your buyers some of the issues that can come up in a transaction. If you start on the Sellers side you will be on the losing end of every transaction as most seasoned agents know who is new, knows the contingencies that will let them get out of the contract and you will be left standing holding the bag.